Solar Attic Fans rock : Solar Vents or Solar Attic Fans are great for the environment and save you money. 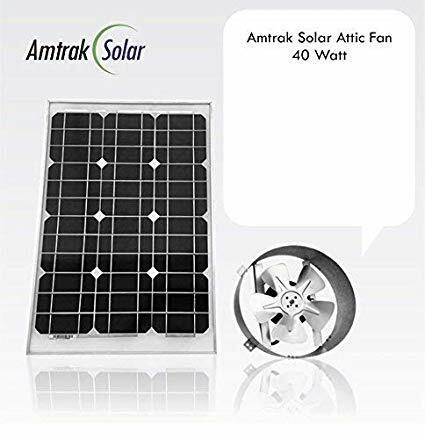 A Solar Attic fan also known otherwise as a Solar Vent is a large solar powered attic fan that drives air out of your attic .The Solar Attic Fan ventilates the entire attic and significantly improves your homes air circulation. The Solar Vents job is to remove hot air from your attic. 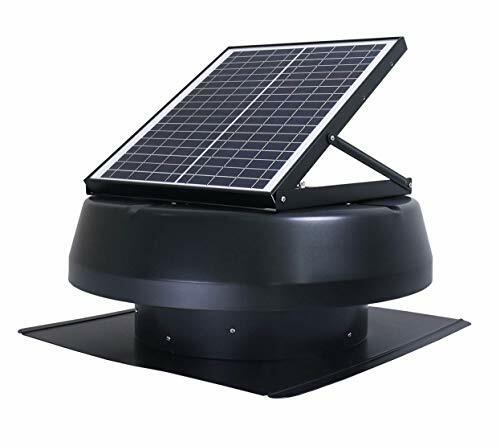 They best Solar attic fans are inexpensive to install as there is no need to connect them to your home’s electrical system. Let's look at the pros and cons of Solar Attic Fans aka Solar Vents. There is always a significant temperature difference between the rest of your home and the attic. 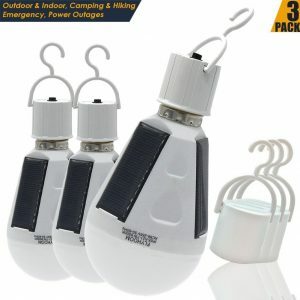 The solar vent is designed to remove this hot air especially during summers and help lower the temperature in the house. Solar Attic fans are designed to remove the hot air that tends to rise during the summer months into your attic making it unbearably warm. If you go into your attic on a warm day you will be shocked by the heat wave that will greet you. 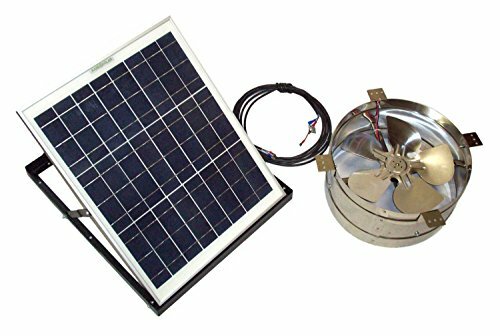 The solar attic fan works like an exhaust that grabs the hot air and siphons it off to the outside thus cooling your attic. If your attic cools down it cools down the rest of your home as well. 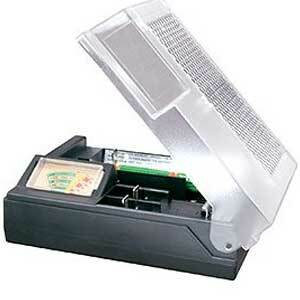 This reduces your air conditioners load and reduces your electric bill. A solar vent as you must have guessed is powered by the sun. The solar roof vent will come with a handy solar panel attachment which usually mounts on top of it on the roof. This unit captures the energy of the sun and helps power the vent to remove hot air. Solar Attic Fans are green and environmentally friendly and use no electricity. The solar vent actually helps reduce the amount of time your air conditioner runs during the summer months thus decreasing carbon dioxide and other harmful emissions into the environment. Additionally, the Solar Attic Fan reduces your electric bill significantly as your AC does not run as much. And that’s not all – your Solar Attic Fan expense is tax deductible. 30% of the ticket price of your Solar Attic Fan including additional installation charges is directly deductible from your payable Federal Income Taxes. All good things come with some baggage. The solar vents may not be suitable for all homes. Homes which get little sunlight are obviously at a disadvantage for solar attic fans. The location of a home, as well as the solar vent, also determine the effectiveness of the solar attic fan. However, all is not lost if you don’t get too much sun. Getting creative will get your Solar Attic Fan performing at peak even in home’s that don’t get too much sunlight. The sauce is in the placement of the Solar Panel for your Solar Attic Fan. As long as you are able to keep the Solar panel in an area that is sunny, the placement of your Solar Attic Fan will not impact its efficiency. Hooray. The positives win and you are seeing more and more folks rushing to get their attics vented using solar vents. 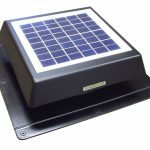 Here are some of the most best reviewed solar vents available in the market. 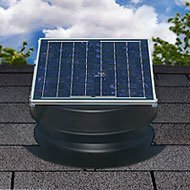 What size of Solar Vent do I need? Do you need a Thermal Switch along with your Solar Vent? A thermal switch is recommended in colder locations where you have temperature dropping below zero during winters an snow accumulation is common. Since the Solar Attic Fan removes air from your attic and moves it outdoors, it could lead to significant heat loss in winter if the warmer air inside your attic is moved out. This will result in high heating bills which is something you definitely want to avoid with todays high oil and electric heating costs. The thermal switch will prevent the fan from operating when the attic is below 80-90 degrees. The thermal switch is wasted if you live in warm areas like Florida, Texas or Arizona. Another frequent misconception is that the solar attic fan would lead to reduced moisture buildup and also prevent ice dams during winter. This is not true as the solar attic fans typically work during the days an not at night when ice damming and moisture buildup happens. What is the difference between a Solar Vent and Ridge Vents or Gable Vents ? Most homes have Ridge or Gable or Dormer Vents and these are vents are not mechanically powered. They vent out hot air relying on the natural convection i.e. the movement of hot air rising and moving out naturally through these passive vents to the outdoors. However, as you have probably noticed, they are not very effective at reducing the temperature of your attic. The limitation of natural convection, mechanical problems and the dependence on draft all make these passive venting options inferior to the active or forced draft air convection solutions like Solar Vents. Active vents like your Solar Attic Fan create a much more powerful air draft through your attic compared to the natural draft created by Ridge, Gable or Dormer vents. The strong active movement of air created by Solar attic fan keeps the attic cool throughout the day. 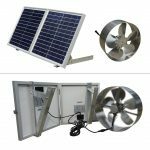 What size of Solar Attic fan do I need? This answer is a little technical but you might want to spend some time doing this research. Typically a solar vent or any other active vent or fan should recirculate 10 attic air volumes per hour. The first step is to find the volume of your attic in cubic feet; think length x breadth and height in feet. Multiply that by 10 for the ten air changes it needs. This gives you the volume in cubic feet (CF) of the air that needs to be removed every hour. The Solar Attic Fan specification will have a CFM figure or cubic feet per minute figure to indicate size. Divide the CF figure you calculated earlier by 60 minutes to give you your required CFF for your attic. 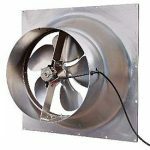 If the figure is larger than the CFM rating of your selected attic fan, just increase the number of fans to match your CFM requirement. Since you are exhausting out the hot air from your attic to the outside, it is very important that you have inlets for letting in fresh air from outside to replenish the exhausted air. The inlets for fresh air are typically your Soffit vents. You need about a square feet of inlet for every 360 cfm of the exhaust. The size of the motor powered by the solar panels is another consideration. If you want to see your attic fan spin a little faster you might want to invest in an additional solar panel. 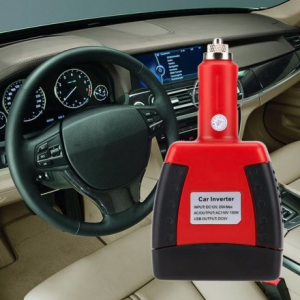 Under those circumstances, it is beneficial to have a higher powered (watts) motor. Ok now we are ready to see the Best Solar Attic Fans. 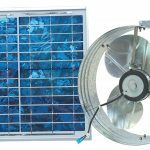 This listing of the best solar attic fans is based on customer reviews. 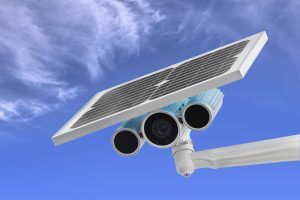 I have included the most popular solar vents with the best reviews. 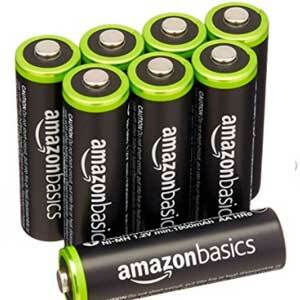 These are available for immediate shipping through Amazon and have extensive positive reviews. The new Rand 8 Watt Solar Vent with its high quality Vent fan, you will dramatically cut your cooling costs in the summer. Your attic can get hotter than 160 degrees in the summer. This heat works its way into your house, and makes it more difficult to cool it in the summer. 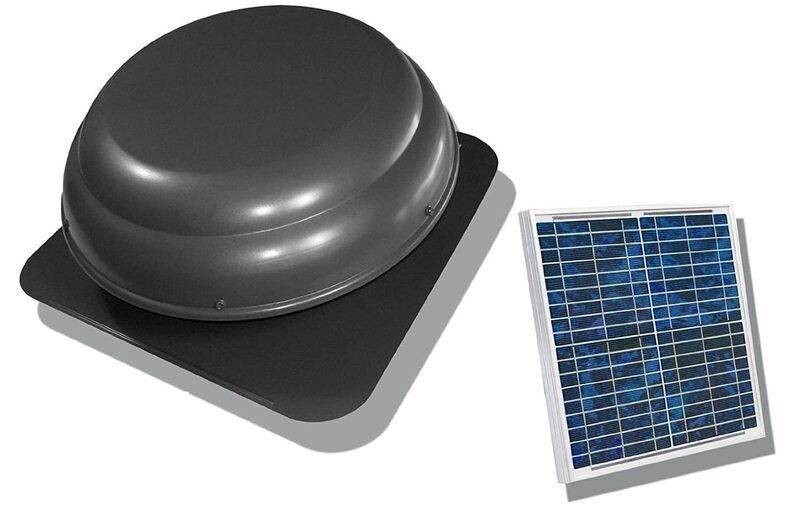 With this solar vent, you can cool your attic temperatures by up to 50 degrees. In the spring and fall, you may not need air conditioning at all! 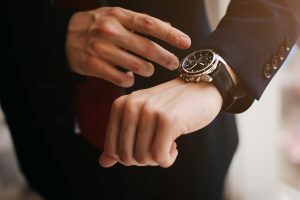 In the summer, it will dramatically decrease the amount of time that your air conditioning needs to run. And, since it is all powered by the sun, you will get these benefits at no cost to you! It also provides needed ventilation to decrease moisture and water vapor in your attic. This, combined with the decreased attic temperature, can increase the longevity of your entire roof system. The Rand Solar Attic Fan provides up to 435 CFM (cubic feet per minute) of ventilation, and can successfully cool an attic space up to 700 square feet. This compact fan is great for small spaces. For larger spaces you, can add more fans to get the job done. 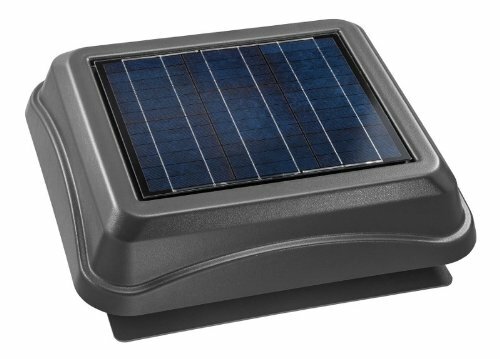 This solar vent is great for sheds, greenhouses, campers, boats, covered patios, dog houses, chicken coops, etc. 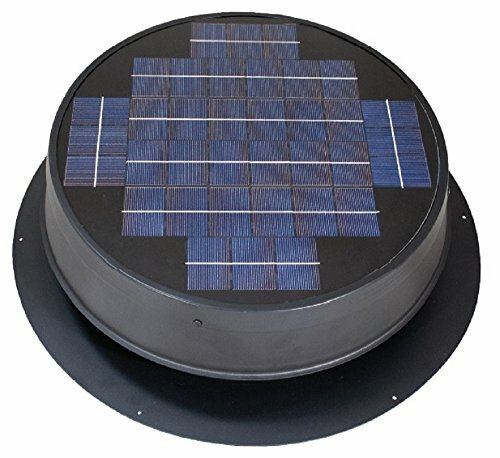 The features of this Rand Solar Attic Fan are as follows: The hole diameter that needs to be cut for installation is approximately 11″. Fan blade diameter is 9″. Includes 5 year parts warranty. This Eco Worthy solar powered vent fan with high efficiency brushless motor keeps you a quiet environment. It can fully vents up to 2,200 square feet area, and provides up to 1500 CFM (cubic feet per minute) of ventilation. The 25 watt poly solar panel comes with 16 feet of cable and allows for the panel to installed at the optimum locations with maximum exposure to the sun. The corrosion-resistant aluminum frame ensures an extended life for the solar panel. The fan works at low voltage as well, so you also get great ventilation even in cloudy days. 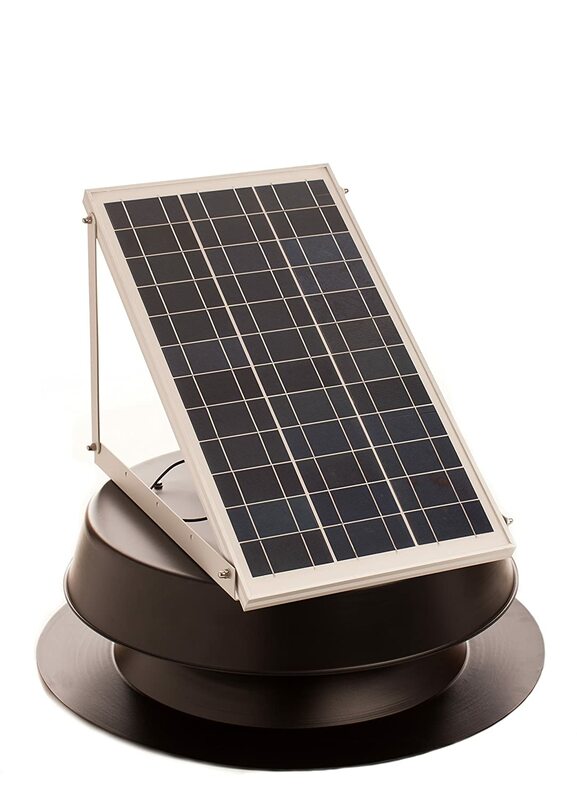 This shell of this Solar Attic Fan is made of high strength stainless steel. The blades are made of Aluminum alloy and are rated for more than a 1000 hours of operation. The solar panel is warrantied to produce up to 80% power for 25 years. A very good option in the list of workhorse solar vents. This Bright Watts solar powered gable vent fan with high efficiency brushless motor keeps you a quiet environment. It can fully vents up to 1,200 square feet area, and provides up to 1000 CFM (cubic feet per minute) of ventilation. Installation is quick and easy with no electrical wiring required. Its a fully assembled in the box unit. This unit has been weather tested at 110 mph sustained wind with 8 inches of rain per hour and there was no water entry into the attic. The unit is built with heavy duty powder coated galvanized steel. The panels are built with high-impact tempered solar cell casings and are hail and wind resistant. Solar Attic Fans like this are great for mid sized attics. 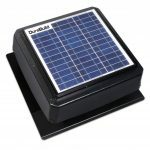 The Durabuild 20W solar vent fan helps reduce energy usage by exhausting hot air from attics by using a solar powered attic fan. This will reduce potential mold and increase roof life by exhausting moist air. A whisper quiet 24 volt motor is powered by an industrial grade 20 watt solar panel that is thermostatically controlled. When the conditioned space reaches 85 degrees, the motor turns on and once it cools to 65 degrees, it will shut off. 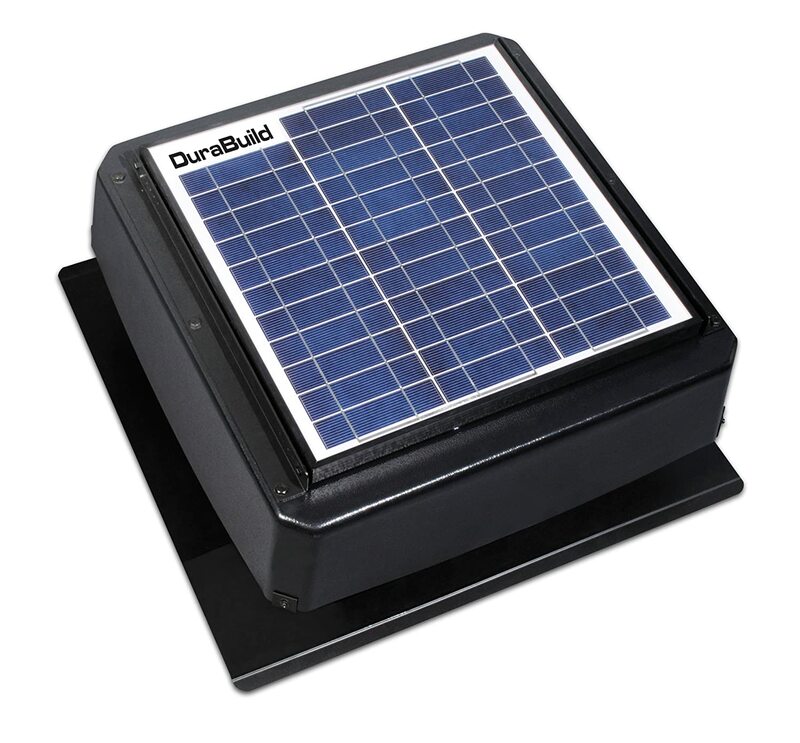 One Durabuild Solar Attic Fan will condition up to 1850 square feet. Since it is powered by solar energy, there is zero cost usage and it does not require an electrician to install. The durable Grade 5 ASB shroud is impact and UV resistant. Shroud and panel are adjustable to maximize sun exposure. Oversized galvanized & powder coated flashing resists rust and protects against leaks. Wire mesh keeps unwanted rodents out. 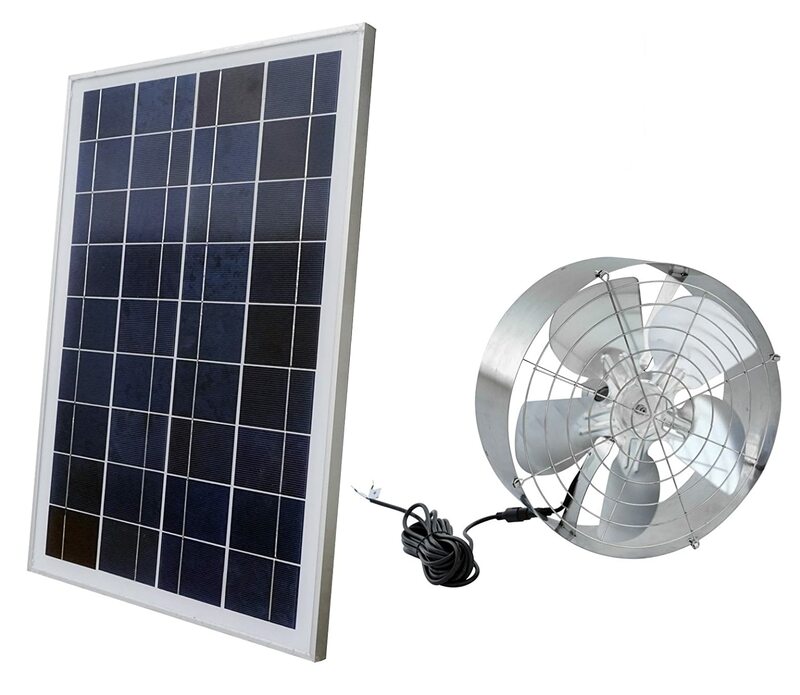 There is a limited 5 year warranty on the fan and 20 year warranty on the solar panel. This unit could qualify for federal and/or local tax rebates. This is another workhorse in our list of the best attic fans. This Eco Worthy solar powered vent fan with high-efficiencybrushless motor keeps you a quiet environment. It can fully vents up to 2,200 square feet area, and provides up to 1960 CFM (cubic feet per minute) of ventilation. 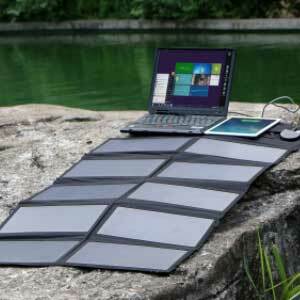 The 30W foldable watt poly solar panel comes with 16 feet of cable and allows for the panel to installed at the optimum locations with maximum exposure to the sun. The corrosion-resistant aluminum frame ensures an extended life for the solar panel. The fan works at low voltage as well, so you also get great ventilation even in cloudy days. This shell of the Ecoworthy 25W Solar Vent is made of high strength stainless steel. The blades are made of Aluminum alloy and are rated for more than a 1000 hours of operation. The solar panel is warrantied to produce up to 80% power for 25 years. 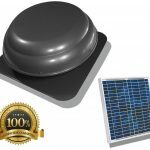 The Eco Worthy Solar Attic Fan is nother sturdy model from a very reputed manufacturer in this stable of the best solar vents. 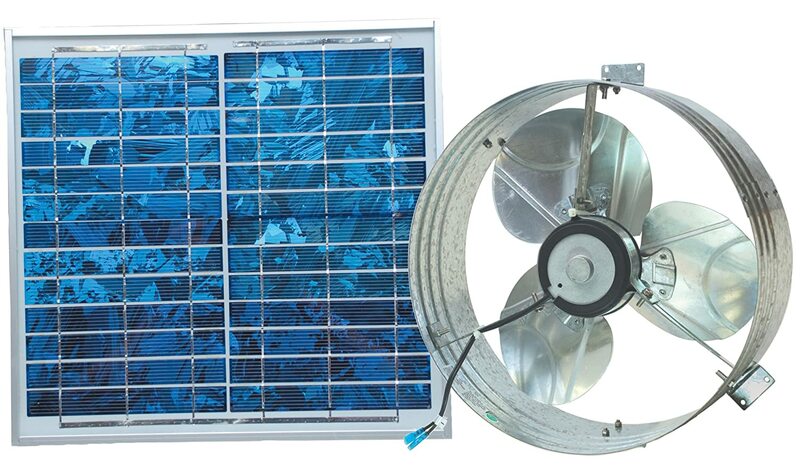 The Ventamatic premium Solar Attic Fan wtih 24 V bushless DC motor fan is thermostatically controlled at 80 degrees. 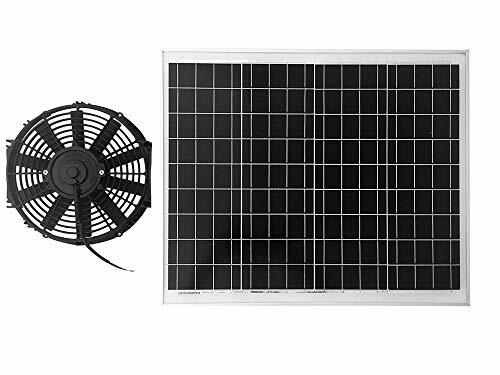 The accompanying 12.6w Solar Panel is constructed with high efficiency polycrystalline cells that generate DC power at 18 Volts to power the DC vent fan. 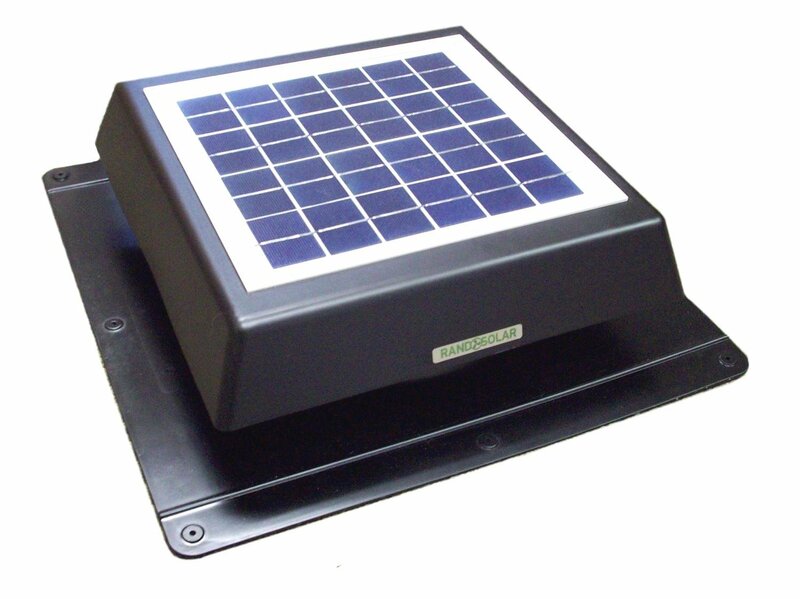 The Ventamatic Solar Powered Vent with a powerful 12.6 watt 18 volt DC Motor has no energy costs. It is powered by a 12.6 W solar panel. You would need an additional panel to make the unit affective in spaces upto 1500 sq feet. It comes with a steel flange and steel dome. With an additional panel, it can ventilate attics up to 1,000 cfm. There is no wiring to the AC main power source. The total weight of the unit with solar panels is 23 pounds. The Ventamatic factory is 100% powered by wind , 95% of all waste products are recycled and the packaging is recycled cardboard. A green and socially responsible company. 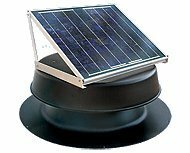 This solar attic fan is suited for mid sized homes. 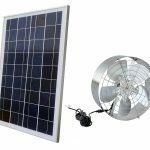 Natural Light Solar Powered Vent Fan – 24 Watt Gable Exhaust Vent – Natural Light Solar Vent is a simple and environmentally sensible solution that can protect your home and even save you money. Powered completely by free solar energy, this sleek and efficient attic vent is compact, quiet and powerful! Simply, the function of a solar vent is to improve attic air circulation resulting in a healthy, energy efficient home. This Solar Vent promises to keep your attic cooler and also reduce the load on your HVAC system. In winter months, it prevents moisture build-up and ice damming. Natural Light Solar Vent Fans are one of the best in their class with the highest standards for quality and functionality. 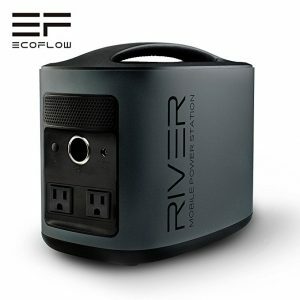 It carries a 25 year product warranty – which is amongst the best in the industry. The Easy 1 Hour Typical Installation also qualifies for solar tax credits. Common Application: Used on residential homes with an existing gable vent. Operating up to 1,339 cfm, the Natural Light Energy Systems 24-W Gable Mounted Solar Vent can fully vent up to 2,100 square feet. This makes it our list of workhorse solar Attic Fans. 304# stainless steel Solar Vent Fans provide active ventilation and space and lower the temperature and removing moisture build-up – giving you a cooler house, reduced attic mold, and mildew, and a more comfortable living environment can ventilate up to 2800 square feet of attic space with a single fan making it a worthy entry in the list of workhorse solar vents. Industry Leading 25-year limited warranty on entire unit. 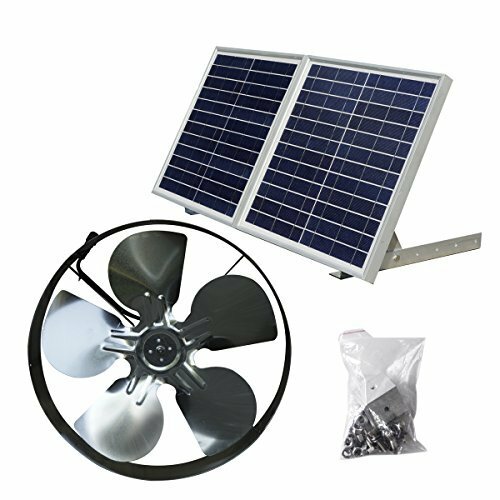 Highest quality materials in any Solar Attic Fan on the market. Optional snap-on thermostat for use in colder climates (sold separately). All necessary installation hardware included. 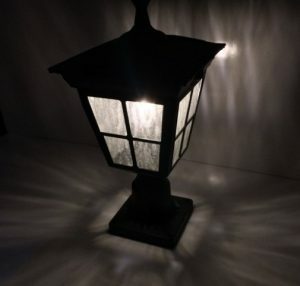 Fits in the gable or attic of your home, greenhouse, garage or RV. Includes 15' of extra wire and brackets. 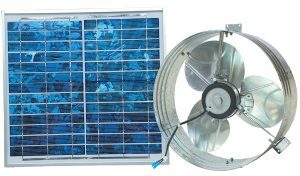 The HQST Solar Attic Fan is an all-in-one unit that is designed to lower your attic temperatures and stop damage from moisture. The built-in, adjustable 30watt panel maintains a strong air flow that makes this a great product for proper attic ventilation. With a one-time installation, this unit becomes effortless and is easily installed on pitched fiberglass asphalt shingle roofs. You can adjust the panel up to a 45 degree angle or detached it and mount remotely for maximum exposure to the sun. 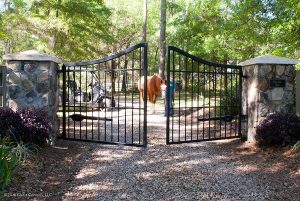 Durable rust-free aluminum ensures long life & no maintenance. Optional snap-on thermostat for use in colder climates. 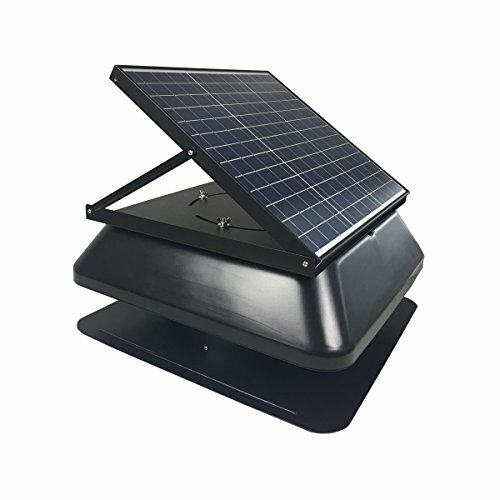 Solar powered gable attic vent has high efficiency brushless motor to keep you a quiet environment. Fully vents up to 2,200 square feet area, and provides up to 1960 CFM (cubic feet per minute) of ventilation. 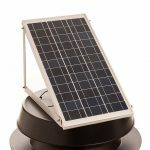 30 watt poly foldable solar panel comes with adjustable angle mounting brackets and 1pc 16 feet soalr cable, you can adjust the optimal angle to get the best efficiency. The fan can work automatically at low voltage, so you also get great ventilation even in cloudy days. Solar vent cools your roof and also reduces the load on your air conditioning system, it will cut your cooling costs dramatically. Fixed Built-In 24-Watt Solar Module for Ultra-Low Profile. Black housing with Black background for lower visual impact. Designed for use on pitched Fiberglass-Asphalt shingle roofs. Industry leading Manufacturer's 25-Year Warranty on solar module, motor and housing. Runs directly from attached solar module no wiring required (optional thermostat sold separately).